Simble hybrid smartwatch delivers up to 250-day battery life with a CR2032 button battery, and built-in fitness tracker tracks your daily activity. Need more features? Let’s keep checking. 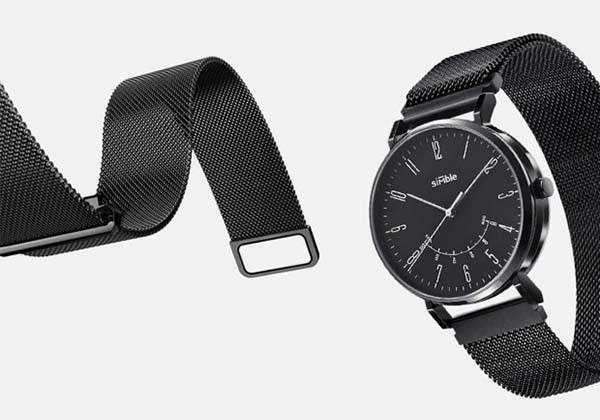 The Simble is an advanced and versatile hybrid smartwatch. 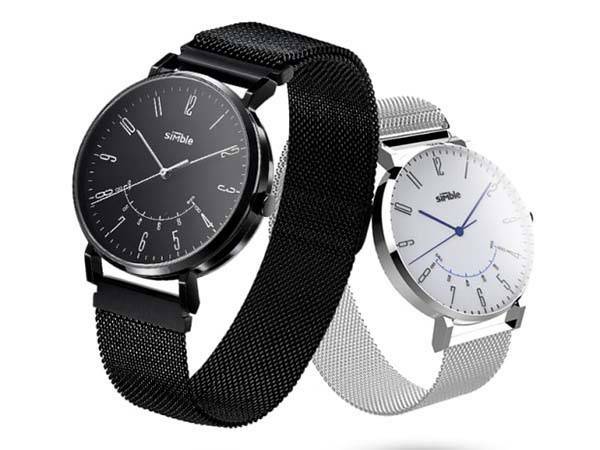 The watch case measures 42mm diameter, the Interchangeable watchband is 22mm wide, and it comes in three different styles including classic leather, rugged NATO and fashionable Milanese band plus multiple color options in order to meet different personal styles. 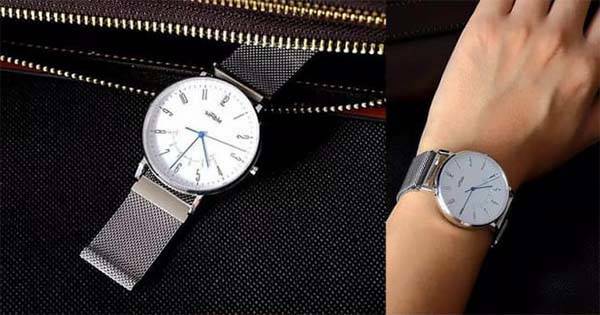 Meanwhile, the smartwatch features a timeless rounded watch design, and the stainless steel watch case not only delivers a durable construction, but also shows off a premium and stylish look with a charming metallic finish. The sapphire glass cover is highly resistant to scratches and abrasion, and the waterproof design allows it to withstand immersion in water up to 50 meters depth. Using built-in Bluetooth 5.0 technology the hybrid smartwatch wirelessly communicates with your smartphone. Once receiving notifications, incoming text and calls, the smartwatch will let you know using its vibration feature and the indicator of the watch hands. The Simble can also automatically adjust time zone, so you always get correct time wherever you go. The Simble also features integrated fitness tracker that not only tracks your steps, distance, heart rate, but also monitors your sleep quality. Moreover, built-in camera control allows you to take pictures with your phone by shaking the wearable. Its replaceable CR2032 button battery lasts up to 250 days. The team behind Simble has successfully achieved the fund goal for the product on Indiegogo, but we can still pledge $99 to preorder the hybrid smartwatch. The Simble will be expected to be shipped in November this year.